The CONTACTS module is designed to help you keep a record of the contact person associated with a specific company. 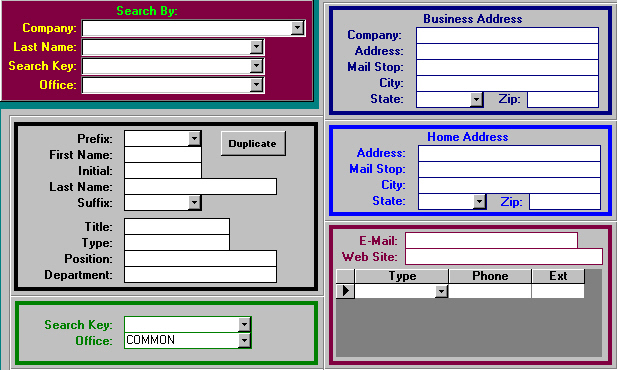 It places important information such as addresses, both business and home, and their respective phone numbers. You can also categorize your contacts for improved searching.